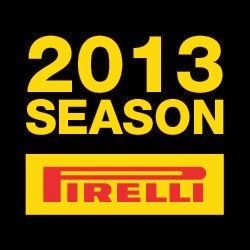 The final round of the 2013 Formula One season takes place at the iconic Interlagos circuit in Brazil this weekend, where Pirelli will bring the P Zero Orange hard and P Zero White medium tyres. The Brazilian Grand Prix is also an opportunity for the teams to try out the latest-specification 2014 prototype tyres during Friday's free practice sessions, in preparation for next season, which features a raft of regulation changes. The new engine characteristics of the 2014 cars will have an important effect on the tyres. Each car will have two sets of next year's tyres to use in FP1 and FP2, as allowed by the current regulations. These will feature the 2014 construction and profile, with the 2014 medium compound. Paul Hembery: "We've chosen the hard and medium tyres for Brazil to deal with the different demands of the famous Interlagos circuit, where we always receive a fantastic welcome from the amazingly enthusiastic fans. There are a number of things to look out for in Brazil: despite being resurfaced a few years back the track is always quite bumpy, which makes it hard for the tyres to find traction and increases the physical demands on the drivers. Just like last year, we'll be giving all the teams the opportunity to test next year's tyres during Friday free practice, given the fundamental changes in the technical regulations for 2014. Brazil is actually Pirelli's biggest market, so we're all really looking forward to getting back there, for a race that marks the end of a technical era." Jean Alesi: "Interlagos is a circuit where the driver really feels involved, and while that sounds illogical, there are some circuits where you basically drive from corner to corner, whereas at Interlagos it's a real experience that takes you over. Even though the track has been resurfaced a few times, it's still quite bumpy, with big compressions, and because it's anti-clockwise it feels very physical to drive. I love the feeling and the atmosphere at Interlagos: the fans are absolutely fantastic, so it's a great place to go racing. Obviously for Pirelli this is a very important race because of the Brazilian market and this has always been the case: in my era I remember that Nelson Piquet owned a Pirelli tyre distributor in Brazil and was involved in promotional work to underline the importance of having the right tyres. The weather is always very changeable, so you have to be prepared for everything. The key to Interlagos is finding the right rhythm: if you manage this then you can minimize the tyre wear and have a good performance. I've been on the podium there in the past, but it's important to find a good feeling immediately." There is a big emphasis on combined traction: the transition when drivers go from braking to putting the power down. Interlagos is usually light on brakes, so conserving momentum is important. Set-up for Interlagos tends to be a compromise: there's a long uphill straight towards the start-finish line, which puts the emphasis on speed and power (a challenge for the engines due to the altitude of Interlagos as well) but the more twisty infield section requires more downforce. The final sector of the lap is the most crucial one for the overall time. The different surface variations mean that generating optimal grip and downforce is vital, particularly as there are a number of different cambers on the corners as well. Turn 14 - the slowest corner of the track - is a good example of some of the technical challenges that Interlagos poses for the tyres. The drivers brake hard while heading uphill and then turning into the corner, before managing wheelspin carefully as they exit the turn. Interlagos is the second-shortest lap of the year after Monaco, featuring bumpy asphalt and several elevation changes. Rain showers are common at the Brazilian Grand Prix, adding to the challenge of a circuit that is well-known for being physically as well as mechanically demanding. McLaren's Jenson Button won the race last year, which was held in mixed weather conditions, with a two-stop strategy. Key to his success was his ability to remain on the P Zero slick tyres even when it was raining. The mixed conditions meant that the strategies were extremely varied, with some drivers stopping four times.